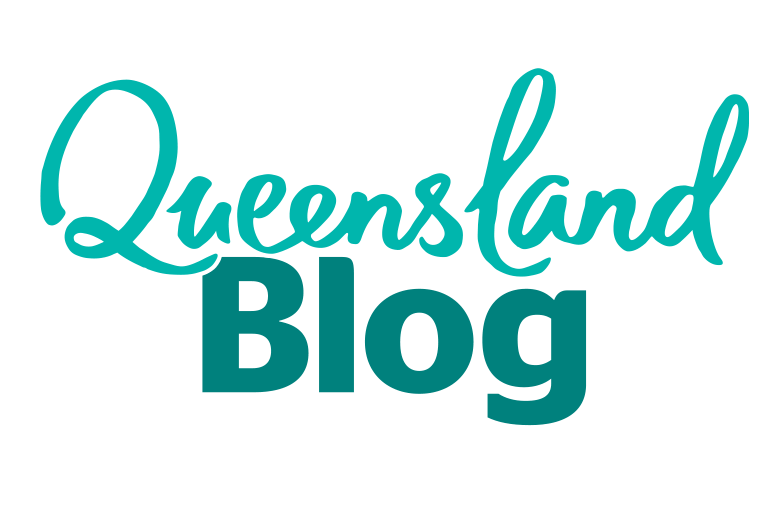 Is Kakadu with kids a good idea? 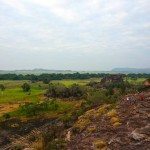 There was a bit of trepidation going to Kakadu, with friends labelling it “Kaka-don’t” and many reviews calling Kakadu National Park overrated. 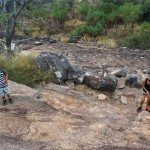 Then, there are the crocodile infested waters, loads of flies and mosquitoes and a harsh rugged terrain, which could be challenging with kids. 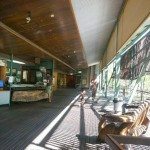 Windows on the Wetlands is a visitor information center located 60km from Darwin on your way to Kakadu. 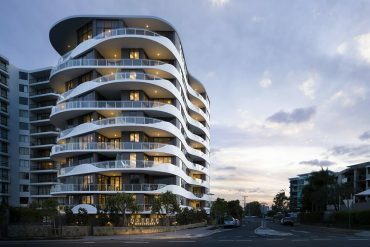 It’s perched atop Beatrice hill overlooking the Adelaide River floodplains and wetlands below. It provides for a nice little rest stop (toilet facilities on site) before the 2.5 hr drive to Kakadu. Surprisingly good and free to enter. 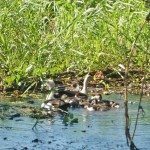 Here the kids can learn about the local Aboriginal history and the ecology of the wetlands. The interactive displays are excellent and the kids won’t even notice that they’ve seen better days. There are exhibits of wildlife with live displays of the the animals that live in the wetlands including, barrumundi and mudskippers. There’s also a a wonderful hands-on showcase of the regions animals including, crocodiles, buffalo, birds and fish. Upstairs, is a outdoor terrace offering panoramic views over the wetlands. It’s also a nice spot for the the kids to exert some energy before the drive. There is a cafe just off the terrace but it was closed. 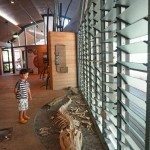 Windows on the wetlands provides a good introduction to the area and worth a short drop in on the way to Kakadu with kids. There’s a small walk from the car park to the visitor center up a hill, with little ones drop the kids off before parking. Best to do a toilet stop and baby change here, rest rooms available inside. There’s a water fountain to replenish water and a small cafe onsite. Head to Bowali Visitor Centre for tips and advice on where to go. It’s particularly handy to get the latest information as to what roads and attractions are closed. What was unexpected was how great the inside of the centre is. 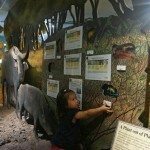 With some beautiful modern displays and interactive exhibits that the kids adored. It took quite a bit of coaxing to leave due to an interactive “ranger’s office” in the form of an old Toyota they could pretend to drive in. 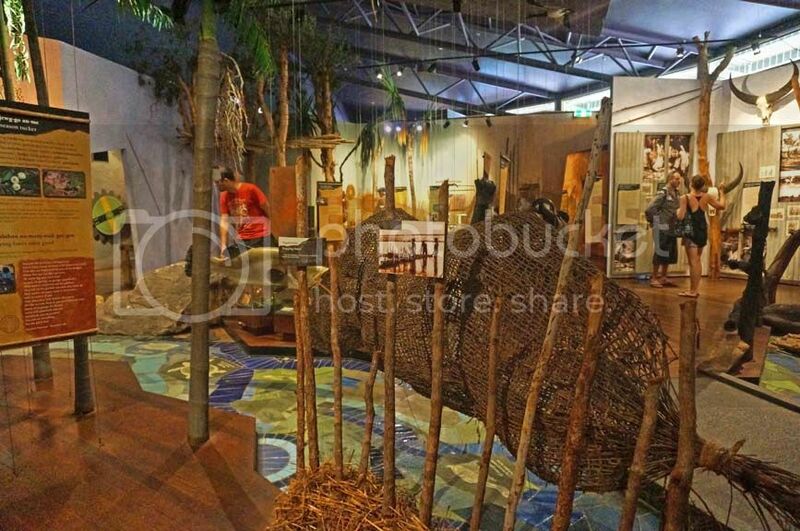 A great informative space with loads of information about Kakadu with kids. There’s also a cafe and souvenir store selling Aboriginal arts and crafts. 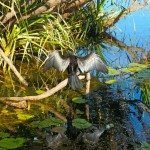 Mamukala Wetlands is one of the easy kid friendly attractions to tick off in Kakadu. A short stroll from the car park over raised boardwalks leads you to an observation platform. I could imagine the effect would be less dramatic if you had to share the enclosure with a large group, having the place all to yourself provides for a breathtaking moment. 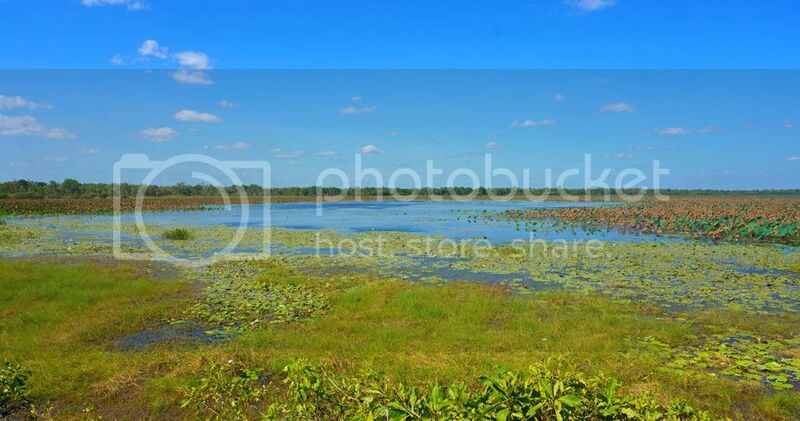 Take in the serenity of the wetlands with calm waters reflecting the blue skies above. Scattered across the wetlands are hundreds of beautiful lily pads. The only noise is the flutter of a birds wings (and your kids). Address: Oenpelli Road, Kakadu National Park, Jabiru, Northern Territory. Open April – November from 8:30am – Sunset. Dec – March from 2:00pm – Sunset. 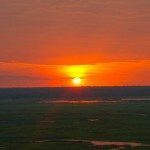 The sunset at Ubirr (Oo-beerr) is unmissable, with a little bit of preparation can be visited with young kids. 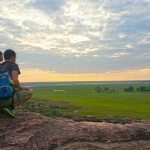 Checkout the sunset times at Kakadu and head to Ubirr a little earlier to slowly walk the level 1km track to the look out. 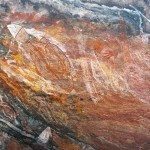 The easy walk takes you past some excellent galleries of Aboriginal Rock art. Ubirr is one of the major sites of Aboriginal rock art and famous for the preserved collections of “x-ray” animal paintings, such as a barummudi complete with anatomically correct fish bones, muscles and internal organs. If you time it right, there are rangers on site to explain some of the paintings. Though, they are also educational signs provided. 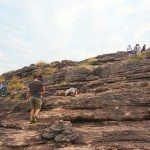 To get to the lookout, there is a 250m rocky climb that requires the little ones to be in arms or in a carrier, however our 4 year old can clamber up the rocks quite easily. The rocky escarpment provides a stunning spot to watch the sunset over the vast green floodplain below. A ranger is also on-site (during the dry season) to provide a short informative talk about the land and the history of the people. This was particularly difficult with little ones as they had no interest in the talk at all. Not to worry, kids gravitated towards a makeshift playground of rocks and boulders for a climb and play. After the short talk, you can stay on the larger plateau or climb roughly 5 meters up to secure a nice sunset spot. This is also easily done with little ones in tow. Though our youngest (2 years) was carried in arms. The Visitor Information Centre and resort guest services can help with sunset times. Spray everyone with insect repellant before the walk. Goto the toilets near the car park before the walk. There aren’t any once you’re in. Allow yourself at least an hour for the sunset. Pack some snacks, water and something to keep the kids entertained as the novelty of being at the top of a rock wears off quite quickly for the little ones. Don’t forget the first aid kit (speaking from experience) as the lookout has an uneven surface. There are cracks, holes and sharp rocks. Keep the kids away from the cliff edge, there are no barriers over the edge and it’s a sheer drop down. There are plenty of higher rocky spots further from the edge which provides a nice safe base. The free Warradjan Aboriginal Cultural Cntre is beautifully laid out with informative exhibits to educate kids on local Aboriginal culture. There are wonderful exhibits about the complex structures of local Aboriginal society, Aboriginal arts and artefacts, exhibits on how Aboriginals lived off the land and stories on how they hunt and gathered. These stories are all retold by the indigenous people in their own words. The only downfall compared to the other centers is that the exhibits are not interactive. It was hard to take in all the information as well as keep two very little kids at bay. It is still highly recommended for a quick visit when in Kakadu with kids. Address: Kakadu Highway, Kakadu National Park, Northern Territory, Australia. Website: Yellow Water Cruises. Cruises daily from Sunrise at 6:45am to sunset 4:30pm (seasonal). 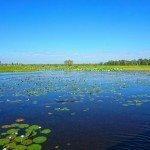 These are the world famous wetlands and it’s worth a cruise around on the water to get up close to those notorious crocodiles. 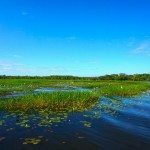 Though the crocs are the headliners and it’s exciting to see them in their natural habitat, the yellow water cruise is also great for spotting the large variety of Kakadu’s birdlife. 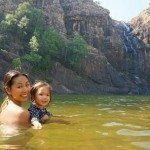 A great way to spend some time enjoying the scenery in Kakadu with kids. With some interesting facts from knowledgable guides. Did you know that the Aboriginals do not hunt the Raja Shelduck, as they mate for life? They say, if one is killed then the other dies of a broken heart. Look out for a review on the Yellow Water cruise and more tidbits coming soon. Yellow Water cruises depart from Cooinda, if you are staying in Jabiru it’s a 50 minute drive, they request you arrive 20 minutes prior. Although a sunrise morning cruise at 6:45am sounds nice you will need to factor how nice it sounds with the early start. 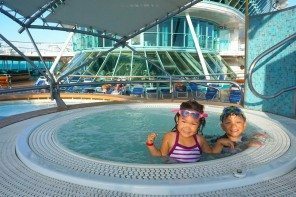 My review on which cruise is the best for kids to come. It’s a 2 hour long cruise so be prepared with snacks, food, drinks and entertainment. Address: Gunlom Waterfall Creek, Kakadu National Park. The highlight of our trip and not to be missed is Gunlom Falls (Goon-lom) also known as Waterfall Creek. 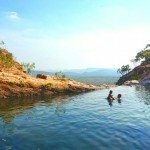 Located in the scenic Mary River region of Kakadu, the natural plunge pool and infinity pool at the top of the waterfall is safe for swimming and free from nasty saltwater crocs. To get to Gunlom, from Jabiru it’s a 177 km drive (1 hour 45 minutes). The last 40km (1.5 hour drive) along Waterfall Creek Road is along 40km on an unsealed red dusty partly corrugated road. Tourism NT state that 2WD cars can drive on this road in the dry season, there were some rough and rocky sections of the unsealed road, crossing very shallow pools of water (seasonal). Though we did not see any 2WD’s whilst we were there we did see a couple of caravans being towed. The road is flat and wide enough for 2WD and caravan access. Though if you a hiring a 2WD car check if the car hire insurance covers you off sealed roads. Base of Gunlom Falls swimming – croc free? Once you arrive, there is a picturesque picnic ground with toilet facilities. Don’t linger too long as an easy 200 meters walk away is stunning Gunlom Plunge Pool and waterfall, a 16 metre tall waterfall flowing into a beautiful wide emerald green natural plunge pool and is free of saltwater crocodiles. What makes it so inviting is the small little beach the provides a nice splash area for the kiddies. Chatting to the locals having a dip who were all by the way cooling off on the sandy, clear shallow end of the pool, none were swimming in the darker deeper body of water closer to the falls. 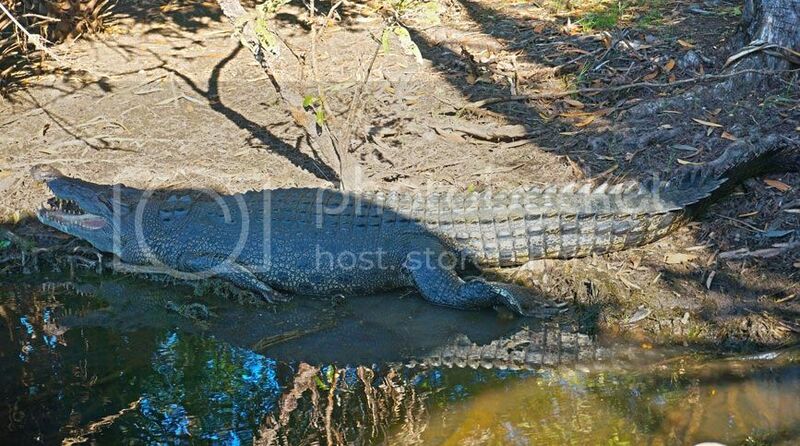 They said there are “certainly little harmless freshwater crocs” near the waterfall. One NT local mentioned years ago that they saw a saltie (the dangerous kind) in the water when it was really dry season and wouldn’t risk a swim when it’s too dry. Needless to say I was quite anxious swimming at the base with a little baby who was the size of a small chook. Worth the 2km return steep climb is the natural infinity pool and lookout above Gunlom Falls. 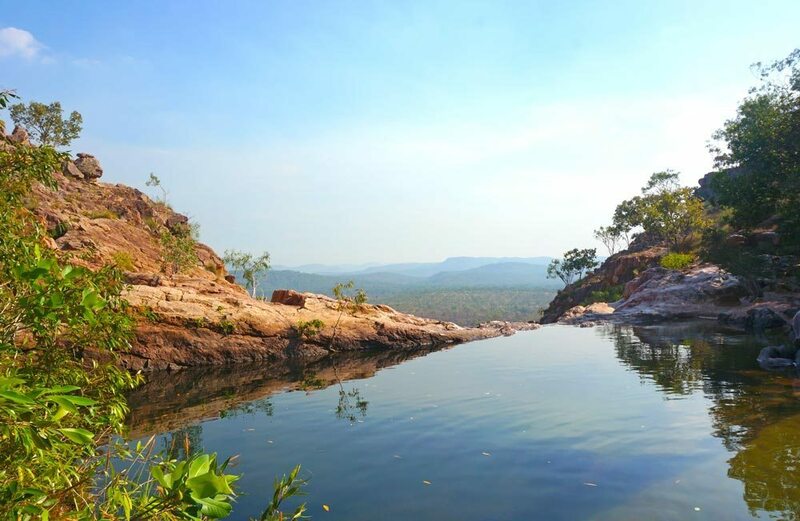 A serene pool of fresh water that blends in with the never ending Kakadu plains. The 1km trek up to the top is quite tricky in parts and steep. Young kids need to be in arms or a baby carrier. With our cautious 4 year, he was able to clamber up by himself, though it took a little longer than the average 30 minutes. For us 45 minutes one way, though my kids are slow and we were all hands and knees going up and down. 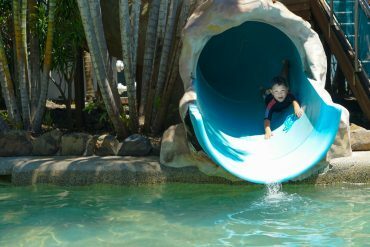 Once up the top, not only there is the gorgeous plunge pool on the cliff as well as a series of smaller rock pools and waterfalls perfect for little ones to take a dip in the croc-free water. As tempting as a sunset is, allow time for the long drive back in daylight. When they say that Gunlom Falls is croc-free, it’s sage advice from locals and the Visitor Information Centre, but swim at your own risk! Go slow and steady up to the top of the falls. Sturdy shoes is recommended, but nearly everyone was wearing thongs. The pools above the falls is deep, for our 4 year old we packed his swim float as he wouldn’t have been able to touch the ground. Even some of the small rock pools were deep. Our 2 year old stayed by the shallow edge or carried in dads arms. In hindsight some floats for her would have been safer. Pack sunscreen as there is little shade at the top and the NT sun is hot. Pack plenty of water for the walk. 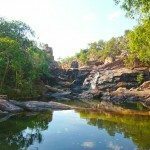 The Mary River region is the best part of Kakadu with some great waterholes. If we had time we would also consider the 4WD only access to Maguk Plunge Pool. I have read that during a poor wet season prior and late in the dry season (August) the water dries up. Chat to the National Park staff or anyone coming back down from the top to see if it’s worth the trip up. 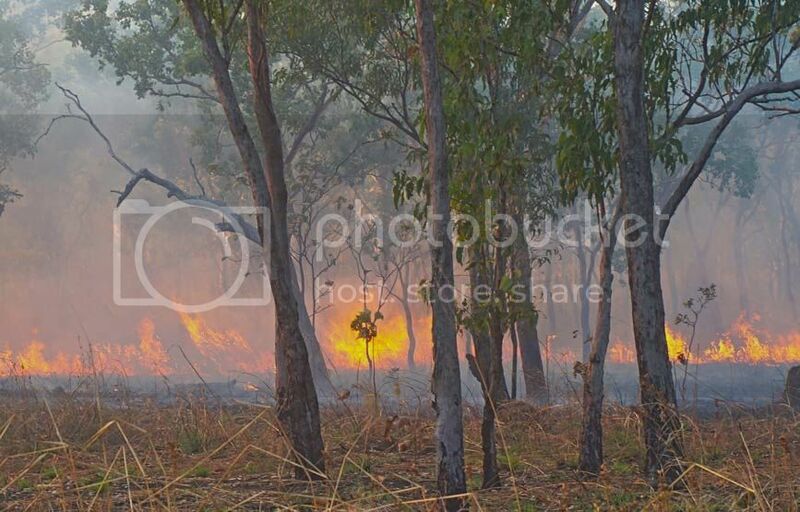 As part of the traditional management of Kakadu, during the early dry season (May-June) you will see controlled burns across the countryside. This is where the conservation managers are patch burning to prevent wildfires, repair the land and encourage biodiversity. As you drive by the countryside, you can see where the previous patch burning occurred, it really does look like the land has been “cleaned up” with rich new green growth and a diverse mix of different flora and fauna or “new life”. Unfortunately, the headliners of Kakadu, Jim Jim and Twin Falls were closed during our visit in early June, National Parks opened it a few days after our visit, this depends on how wet the previous season is and can sometime be closed until mid-June. Jim Jim is a spectacular waterfall that plunges over 150 meter drop. However, Jim Jim is not the most kid friendly attraction with high clearance 4WD only access to the falls. The road to Jim Jim is a 50km drive on unsealed, rough and corrugated tracks, the last 10km is soft sand and there are a few wet crossings. You need to allow 2 hours one way to drive to the falls (yes thats 2 hours for 50Km). When you arrive there is a 2km return walk through forest and over boulders to reach a beautiful deep plunge pool. If you are looking for a roaring waterfall, unfortunately Jim Jim dry’s up quite quickly in the dry season. Twin Falls Gorge is quite stunning, a impressive waterfall inbetween two massive rockfaces. The falls itself cascades over a wide rocky cliff face into a green pool below. 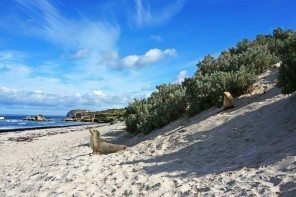 There is also a small sandy cove to enjoy the serenity. Twin Falls doesn’t dry up as quickly as Jim Jim does and even in June you can still see a few trickling streams. Twin falls also requires high clearance 4WD access and takes a further 30 minutes (11km) from Jim Jim Falls, requiring water crossing over Jim Jim creek. Twin Falls is a little kid friendlier with a short walk to a boat shuttle that takes you through the gorge to the waterfalls. Swimming is prohibited here as there are salt water (estaurine) crocodiles about. Best to stay dry when in Kakadu with kids. 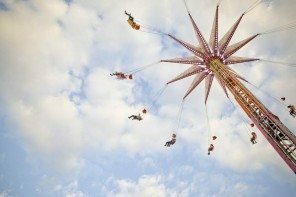 Whilst it is stunning, there’s allot of things to consider if taking the kids. We were defeated by the long distance and great travel time needed. For us, already late in the day, to continue onto Twin Falls meant a 5 hour 20 minute drive back to the Kakadu Crocodile Hotel in Jabiru. The first 2.5 hour journey from Twin Falls tis over rough and rocky terrain. 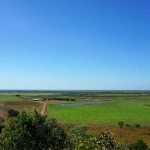 If considering going to Jim Jim and Twin Falls, consider staying at Garnamarr camp grounds or even Gagudju Lodge in Cooinda which would still require some travel time but not as much as if based in Jabiru. Did the kids like it or were did they find all the scenery a bit ho hum? 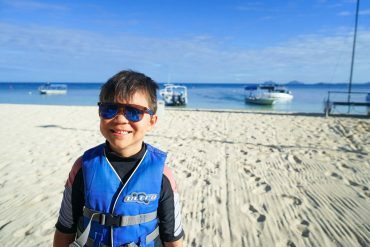 We are taking our two kids aged 7 and 10 and while I have no doubt they will love seeing crocs, I worry that the rest of it will be us dragging kids to see scenery that we want to see. We’re heading up to Kakadu in May 2018 with kids aged 7 & 4, in a caravan. Thanks for the info which is the most informative I’ve come across. We’re booked at Jabiru for 7 nights (to include a couple of rest days because we’ll be travelling for 4 months). 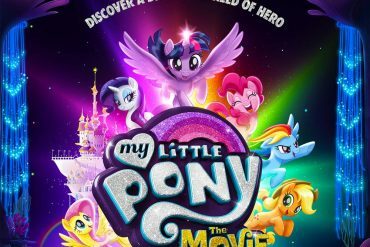 I’m worried 7 days is way too long? How many days were you there? Thanks for the info. Thank you for sharing information about travel to Kakadu with kids. We will be in Darwin on November for the first time. We are planning to drive from Darwin to Kakadu together with our 2 little kids. I heard that November has a pre-monsoon weather that is why we are still thinking if it is good to drive that time to Kakadu and plan to stay there for 2nights at Mercure Kakadu Crocodile Hotel then do some.sightseeing around the place. 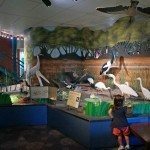 As I have read your blog about the things to do around with kids, I got excited to see and experience the lovely places you went with your kids there. Do you have any tips/idea if it is a good time to travel/drive there around end November? Please advise if you can. 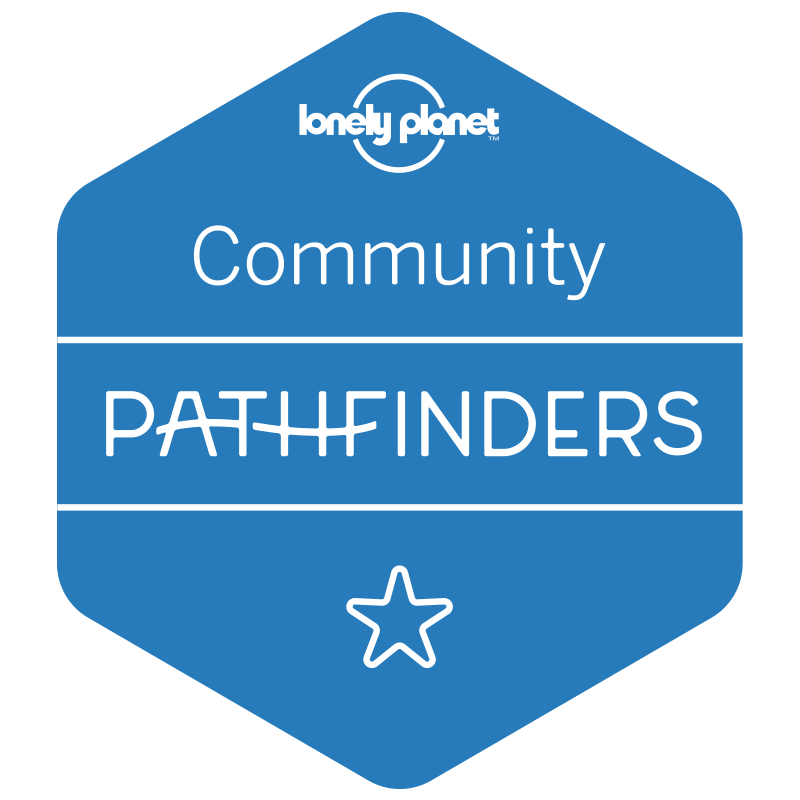 Thanks Together We Roam, my family and I are heading to Kakadu in July 2017 (kids will be 4 & 7) and you have given such practical and useful advice! Thank you so much for writing this. My husband and I are contemplating taking our boys to Darwin in June next year. They will be 2 and 4 years old and I wasn’t sure if Kakadu would be achievable. You’ve really inspired me 🙂 Just out of interest how many nights did you stay at Jabiru? I’m so happy this has inspired you to goto Kakadu 🙂 It’s worth a shot heading to Kakadu. 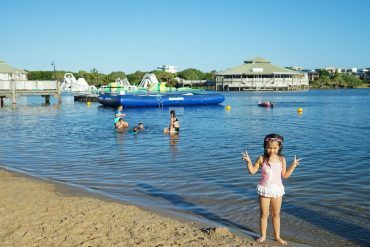 We stayed in Jabiru for four nights, I think three nights is the minimum amount of time to spend and just enough to cover the good stuff with little ones in tow going at a slower pace, four is a bit more relaxing. We went to Maguk with my 7 month old baby and our 4 year old late in the dry season. We had a 4WD on the road. We packed heaps of water, and had soft drinks in the car for when we got back. The walk out took my 4 year old about an hour to do. We had the baby in the carrier. My advice is to do this early in the morning before it gets too hot, as my baby was well and truly overheating by the time we got to the pool. Also, there is a hiking path which can lead you the wrong way, so if you end up climbing up cliffs, you have gone the wrong way!! The pool is extremely deep so arm bands and other floatation devices for the kids are a must. 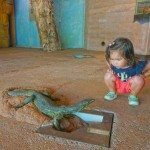 You have to be pretty brave and well prepared to do this with such young kids. I’m so glad I did it, but wouldn’t try my luck again. 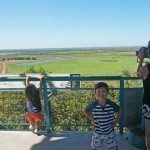 We are a family of 4 (kids 10 and 7) just mapping out our travel for 11 days in Darwin/Kakadu/Katherine/Litchfield/Darwin (July 2016) My husband and I have been many years ago and would love to take the kids to either Maguk or Gunlam Falls – we know how beautiful it is there, but we have a large 2WD, a campervan! Do you know if we can access either of these places on our own with this Campervan? Or do we have to hire a 2WD locally in the Mary River area (if that is even possible? ), or is it possible to just do a tour to these falls? 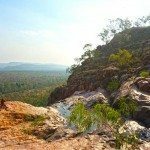 Do you also have any recommendations for things to do in Katherine and or Litchfield? Have you been? Hi Anita, Thank you for reading and taking the time to reply. 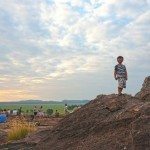 I’m so impressed with your little adventure to the NT with four kids! 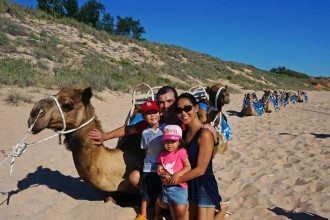 I’m from a family of four and my folks would never had dreamed of taking a caravan around Oz, I don’t blame her. We were terrors. It depends on how confident you are, we are amateur 4WD drivers and wouldn’t feel comfortable driving in towing a caravan, but that’s only because we’re not very talented, that said it’s a dirt road, not a 4WD track, possible with a 2WD, just take it slow and watch the steep ruts. For Maguk Falls, this is a 4WD route, it’s easier than Twin Falls but it has narrow, sandy and corrugated tracks, the reason we stayed away was that it was a distance to get in with a 1Km walk with very young kids at the time. The swimming hole at Maguk is also quite deep, so we were decided against it. It wouldn’t have been very easy. I’d give it a go now that they are older and you won’t have a problem with kids your age. It’s not recommended to take 2WD down this route. 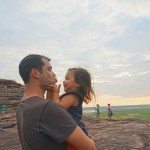 As for Katherine and Litchfield, we’re yet to do this with the kiddies, so I can’t advise on where to go except the usual places like Katherine Gorge, Edith Falls and the NT love Litchfield over Kakadu places like Florence Falls, Wangi and Bluey Rockhole (these are 2WD routes). They love it because it’s so easily accessible without the long drives. So did you make it with your campervan ? We would like to do as well end of august with our Campervan and our 2 kids, But I am not sure if we can. I just came across your blog and this page in particular. We will be in Darwin and the surrounding area in June and was a bit apprehensive about Kakadu with our kids, ages 5 and 6. You have now put me at ease and helped immensely with planning. I’m in your debt. Thanks! I love this post. The Northern Territory is top of Raffles Aussie Bucket (&Spade) List and this has convinced me that it needs to be next on our list. Looks like a very interesting place! Lovely pictures too! 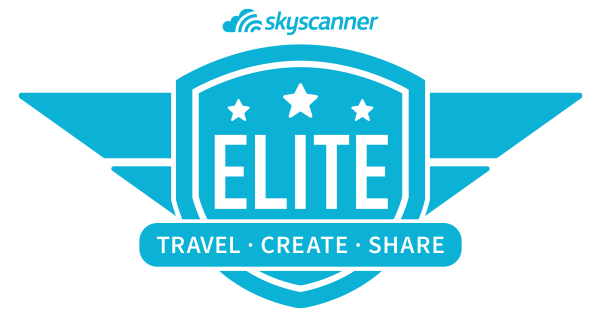 You should definitely look into our Travel Photography Competition. It’s a great way to promote your work. I will send you the link on Twitter! Cheers! What a great post! We lived in Darwin for two years pre-kids and heard the Kakadon’t stories so often. You are spot on with your recommendations. I can’t wait to take my own kids to the NT – hopefully next winter. PS love what you wrote to Bronwyn Joy below. She is an awesomely reliable commenter isn’t she! Feel like she is the only one reading my blog too. So many cool places. Crocs?! Crocs! That would be enough for me to be like… no swimming! No swimming! So many beautiful places and awesome things to do. I love your posts. I feel like I’m on an adventure with you. *sigh* We decided to leave Kakadu for our next visit and went to Katherine via Litchfield. We better go back!!! I love all your adventures – you’ve taken the hard work out of my planning. I have fond memories of Kakadu with kids. 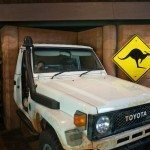 Our time was unfortunately cut short as our 4WD family suffered a bit of a breakdown and we ended up spending some of our Kakadu time in Darwin getting repairs. Still recognise a few of those attractions, but mainly the more accessible ones.